“The reason some questions cannot be suppressed, do not go away–regardless how many people think they should–is because the human heart knows they must be asked or have yet to be clearly answered. When that question concerns the quality of the discipleship of half the Catholics in the world, it cries out for attention. And will continue to cry out until the church itself attends to it. Why? Because the model of Jesus with women demands it. WHAT: Women’s Ordination Worldwide (WOW) is holding its third international conference just prior to Pope Francis’ visit to the United States. 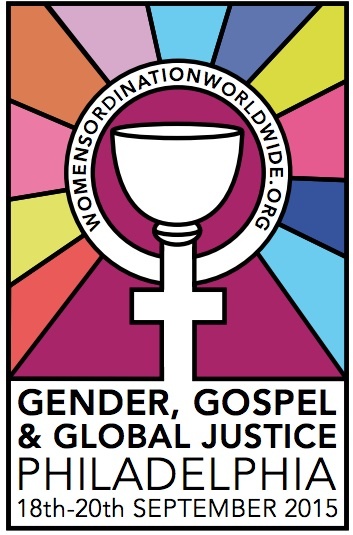 The theme of the gathering is “Gender, Gospel & Global Justice.” Advocates for women’s ordination and equality in religion from around the globe will gather to explore the essential links between ordaining Catholic women and building a just society. WHO: Hundreds of WOW delegates and members, Catholic reform and feminist groups, theologians and students, and advocates of women’s ordination from around the world are expected to attend the historic gathering. Press accreditation is required for all press covering WOW conference. To request a press pass, please email WOC@womensordination.org. Chaput is Archbishop of Philadelphia. This is a correspondence with a woman in his diocese. Reflections on saying Mass in a family home.